Youth in El Salvador are addicted to soft drinks, resulting in an epidemic of childhood tooth rot and gum disease. SAN SALVADOR — What could be duller than waiting to see the dentist? “Muy aburridos” — so bored! — four boys say as they roll their eyes. It’s just after noon, and Oscar, Josué and Eduardo, all 10, as well as Vladimir, 11, are in line with hundreds of others at a government building in Santo Tomás, El Salvador. They’re waiting to see one of the Canadian doctors or dentists who are here on a Canadian medical mission organized by Speroway, a faith-based charity started 13 years ago to help the needy. Like the boys, many of those in the queue have been here since 7 a.m. to ensure they snag a place with one of the health professionals. It’s boring and hot. The temperature has inched well above 30 degrees C and the youngsters slack their thirst swigging Kolashampan, a bland El Salvadoran soft drink. The boys would prefer to drink a Coke, which has more cachet. Coca-Cola is “cachimbón,” they say. Translation: it’s the cool drink. But ask them if they know soda pop is bad for their teeth and the boys, smirking now, shrug off the question. “Bebemos mucho” — we drink a lot — they reply, then turn to devouring pupusas, a traditional El Salvadoran corn tortilla that one of the mothers brings them. The Canadians are here giving medical and dental care to those who can’t afford treatment. They’ve set up makeshift stations in the interior of the building, which offers minimal respite from the noonday sun. 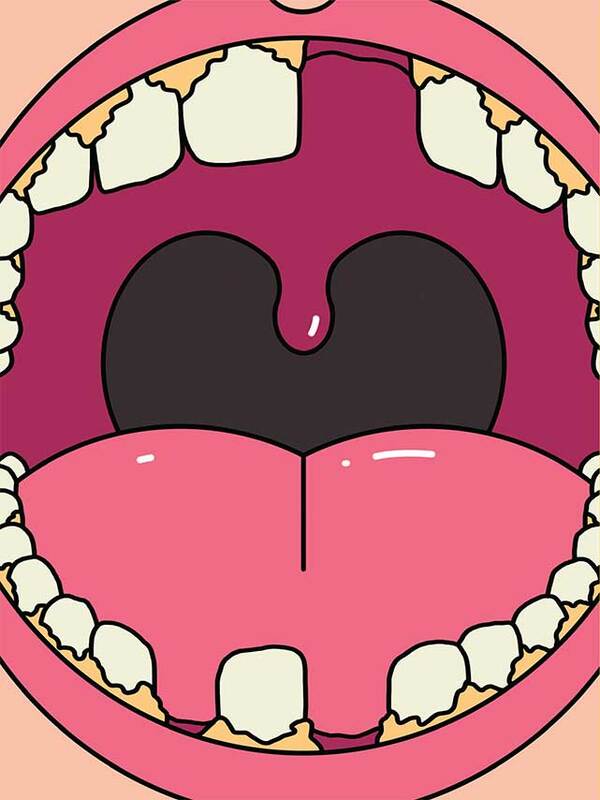 In one room, nine dentists, with just a metre of space between them, hunch over patients who obediently keep their mouths wide open; with the exception of one small patient — an outraged girl about eight years old and dressed in sparkly pink pants. The team of Canadian dentists in action. Photos by Tallulah Photography. She’s roaring like an animal. Her legs flail in the dental chair, which is actually a zero gravity backyard lounger brought from Canada. Her mother holds her down as Ian McConnachie, whose day job is at Woodroffe Pediatric Dentistry in Ottawa, tries to fill a cavity in her tooth. McConnachie, the only children’s specialist on this medical mission, feels a chomp on his thumb. “Hazard of the job,” he says, inspecting the bloody bite mark and a thumbnail morphing blue. When done, the little girl happily leaves with a bit of bling — a sparkly costume ring — that matches her pants. She also leaves with free toothpaste, mouthwash and a toothbrush, plus extras for the siblings at home and instructions for mom on oral care. McConnachie will see about 20 children before the day is out. He treats all ages: toddlers to younger teens who exhibit identical dental problems — “teeth that are bombed out with decay.” The pattern of rot he routinely finds: teeth blackened along the edges and gum line. It reveals that the cause of the dental caries is chronic exposure to sugar from candy and soft drinks. Pop is cheaper to buy than bottled water, and tap water is often contaminated. The result: 80 per cent of Central American youth aged six to 19 have dental caries, according to the Geneva-based World Dental Federation (FDI). The majority go untreated, leading to tooth loss, malnutrition and infection. This makes tooth decay the most prevalent condition among the 291 diseases surveyed in the Global Burden of Disease Study (1990-2010), a report put out by the Institute for Health Metrics and Evaluation at the University of Washington. Ironically, because it is caused by a high-sugar diet and a lack of brushing, it is also entirely preventable. Globalization, however, has made cheap Western food products available to eager new consumers in Latin America, Africa and Asia. The fact that sipping a Coke gives Oscar, Josué, Eduardo and Vladimir more strut in their caminar shows how effective these products are being marketed. The Speroway dentists in action at one of the clinics. Science links sugary drinks to a myriad of health problems, and this raises important questions. To what extent should beverage companies be held responsible, or hold themselves responsible? Tobacco companies argue that smokers are aware of the risks related to cigarettes; that smokers are simply exercising their freedom to choose. But can this rationalization apply to beverage drink makers that market their product to children? Does it apply to people who live in poverty, are illiterate and uneducated? 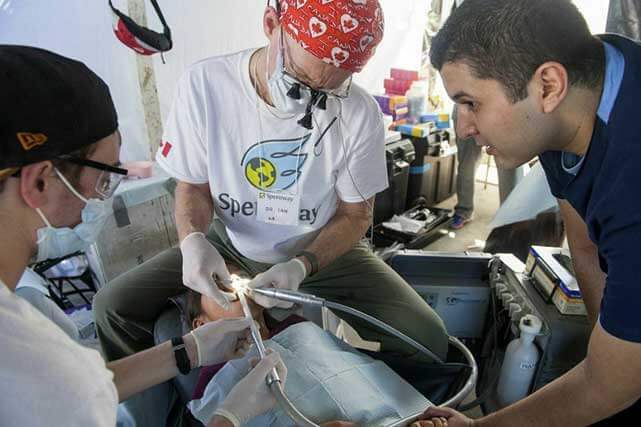 As part of their medical mission, the Speroway dentists and doctors discuss the effects of poor diet on general as well as oral health with their patients. The message, however, is often lost in translation. The advice to replace soft drinks with water and brush teeth are superseded by the reality of poverty, which makes travelling to the city to see the dentist or buying bottled water and toothpaste expensive luxuries. This reality is one of the reasons the Speroway team makes annual visits to El Salvador, and continues to brainstorm on ways to improve oral health messaging in developing countries. The lack oral health knowledge is obvious. 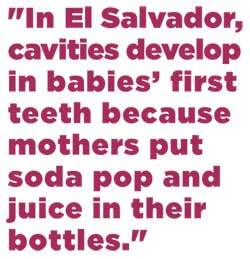 In El Salvador, cavities develop in babies’ first teeth because mothers put soda pop and juice in their bottles. Ironically, just outside the temporary clinic, street vendors are hawking a variety of sweets — marshmallow kebabs on sticks, juices and colas — to those waiting in line to have teeth pulled, cavities filled and painful tooth infections treated. El Salvadorans are simply not connecting cause and effect. A few metres from McConnachie’s workspace is Jack Cottrell, a dentist at the Port Perry Dental Centre in Ontario. 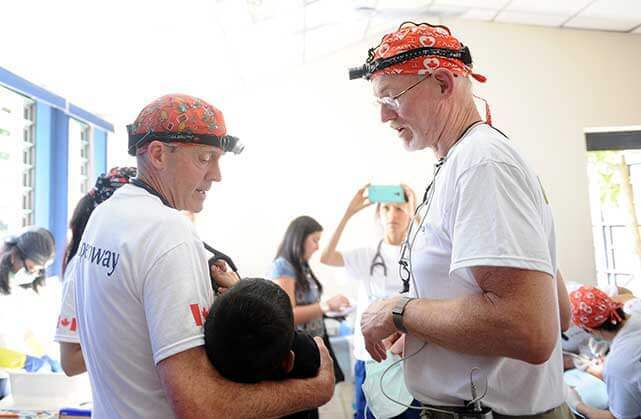 He leads the dental team at Speroway, which to date has carried out six medical missions to El Salvador. Cottrell is drilling, filling, grinding and bonding the blackened front teeth of a teenager. An El Salvadorian child after a visit to the dentist. He looks over his shoulder and nods his head in the direction of a young boy with a small plastic bag filled with chilled cola. The boy is watching his sister undergo treatment. Such bags are sold for a few pesos by vendors. By sucking on the bag, the treat can last for hours. Unfortunately, this creates a continuous bath of sugar, caffeine and acid that rots the teeth, says Cottrell. This assertion is not without controversy. Some take the position that whatever is poured or popped into your mouth is solely your responsibility. Last October, however, Advertising Standards Canada (ASC) decided that this thinking doesn’t apply to kids. The ASC announced changes to the Canadian Children’s Food and Beverage Advertising Initiative, including a pledge not to undertake advertising that is “directed primarily to children under 12,” when children make up 35 per cent of the audience. As well, advertising to children should only promote “better for you” products. A nutrition guide is part of the ASC initiative and, while it doesn’t specifically mention soft drinks, does recommend “limiting foods and beverages that are high in sugar.” Both Coca Cola and PepsiCo Canada signed on to the changes. According to Coca-Cola’s U.K. website, a 375 ml can of Coke contains 39 grams of sugar, or nearly eight teaspoons. It also contains carbonic acid (making it fizz) and phosphoric acid, which acts as a preservative and adds tartness. The larger 600 ml Coke bottle holds 63.6 grams, or about 15 teaspoons of sugar. Sugar is a carbohydrate, an essential source of energy. It is found naturally in fruit and honey as well as corn and sugarcane. But natural isn’t always better. Decades of studies link the amount and frequency of sugar consumption not only to tooth decay but Type 2 diabetes, obesity and cardiovascular disease. Sugar and teeth, McConnachie explains, have an unfortunate relationship. Common oral bacteria like Streptococcus mutans metabolizes sugars into acids that eat away tooth enamel. The more snacking in between meals, the more decay. The lack of tooth decay can ironically signal other problems. McConnachie points out that the only place he’s been in the developing world where kids aren’t suffering from tooth rot is in Haiti. The trade-off, however, is hunger. Extreme poverty means many children eat only one meal a day. In a statement that has not endeared it to processed food and soft drink companies, the World Health Organization (WHO) last year announced new sugar consumption guidelines. The Geneva-based organization recommended that a mere 5 per cent of an adult’s daily caloric intake should come from sugar. This is 25 grams of sugar — less than the amount found in a single can of Coke. Francesco Branca, the WHO’s director of nutrition for health and development, admitted that 5 per cent might be a bit optimistic, and advocated trying to at least limit the daily intake of sugar to 10 per cent for positive health impacts. There is no question the global community has a sweet tooth. According to Statistics Canada, the average Canadian consumes 26 teaspoons of sugar per day, which is 21 per cent of daily calorie intake. The American Heart Association (AHA) reports that U.S. citizens are consuming about 20 teaspoons of sugar, mostly from sugar-sweetened beverages. The AHA recommends men consume at most nine teaspoons a day and that women not surpass six teaspoons. Statistics from the Oral Health Atlas, compiled by the World Dental Federation (FDI), which represents more than one million dentists worldwide, indicate that El Salvadorans consume as much sugar as Canadians do — up to 44 kilograms annually, or about 25 teaspoons daily. The big difference, says Cottrell, who is a member of the governing council at the FDI, is that nations like El Salvador are decades behind the West when it comes to oral health awareness. The knowledge deficit might not be such a problem if it weren’t for the advertising campaigns of the soft-drink leviathans, which have turned attention to developing markets as a source of growth amid stalled or declining sales in Western markets. In El Salvador, Coca-Cola’s trademark red and white is everywhere. Enormous billboards with the iconic, long-necked Coca- Cola bottle stand tall over urban centres and slums alike. Coca-Cola tree decorations adorn fake evergreens in San Salvador shopping malls during the Christmas season. The Coca-Cola factory outside the capital city conducts school tours. The smallest, most meagerly stocked snack shack is brightened with Coca-Cola signs. 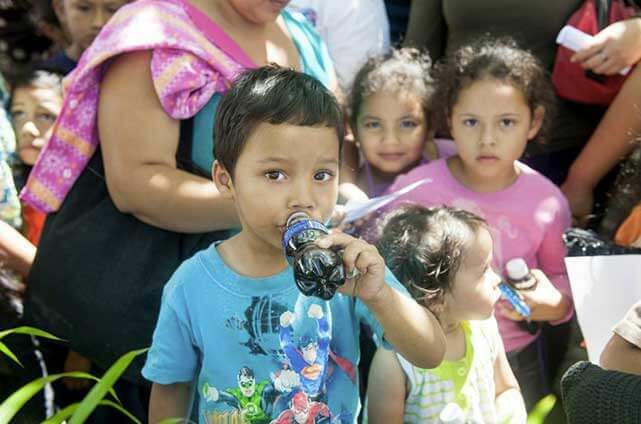 Children in El Salvador drink soft drinks more than water, which is often more expensive and not properly treated. Penny Collenette is an adjunct professor of law at the University of Ottawa and corporate social responsibility specialist who developed the course, “A New International Corporate Reality: The Business of Human Rights.” Collenette believes soft drink companies do have a responsibility to educate consumers about the downside of swilling their product. “Recent evidence about sugar has led to serious questions about obesity and health,” Collenette says. “Given this global knowledge, ethically it is incumbent upon Coke and Pepsi to at the very least warn consumers of the risk of over-consumption of their products. I would think the government as well as the medical community should play a regulatory role,” Collenette says. It’s an odd notion, perhaps: the thought that Coke and Pepsi should or would help tackle health problems linked to their products. However, it doesn’t stretch incredulity to think that the two multinationals could help mount effective oral health programs. The marketing tactics of Coca-Cola — the largest beverage company in the world — are designed to crack open new markets in the most far-flung places. It is so effective that Melinda Gates of the Bill and Melinda Gates Foundation holds up the company’s strategy as a model for development agencies to emulate. “I’m startled by all the things [people] don’t have, but I am surprised by one thing they do have: Coca-Cola,” Gates marveled in a 2010 TED Talk, titled “What non-profits can learn from Coca-Cola.” By relying on local entrepreneurs, who use bicycles, pushcarts or wheelbarrows, Coke gains access to the most inaccessible communities. “In Tanzania and Uganda, they represent 90 per cent of Coke’s sales,” said Gates. In El Salvador, Coke’s and Pepsi’s marketing strategies can only be described as masterful. Family-run restaurants and tiny remote roadside kiosks sport branded signs, fridges, tables, clothing and exterior paint. 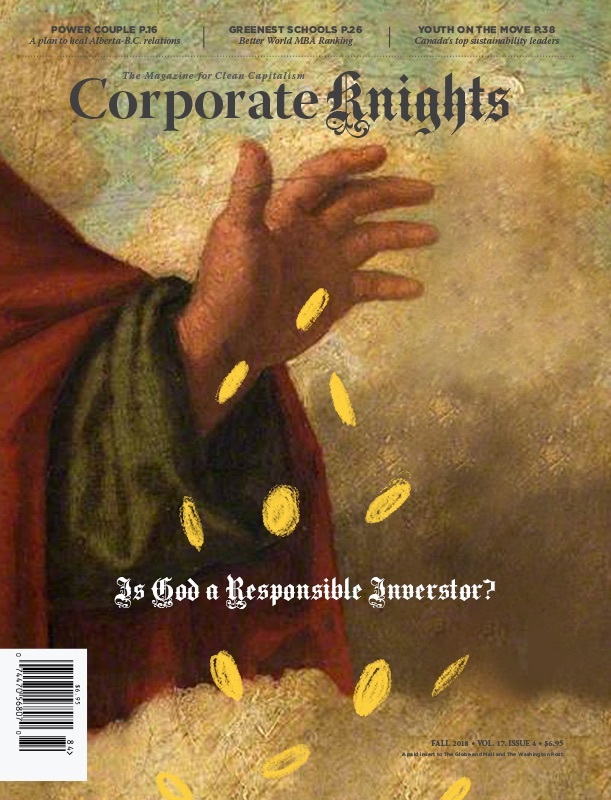 But corporate gain is El Salvador’s pain. 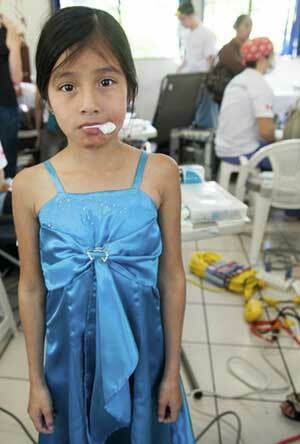 Back at the makeshift dental office, the next patient in line is a four-year-old boy, his face mottled from crying. He refuses to get into the dental c hair. Cottrell has checked his teeth and noted several large cavities. “He probably cries himself to sleep at night because of the pain and that’s why he doesn’t want us to touch him,” Cottrell says. Lack of cooperation from the boy leaves only one solution — sedation. The youngster’s mother maneuvers her son into another room where physician Anthony Brown is stationed. Brown gives the boy a syringe of sedating liquid, which the boy tries to spit out. But enough gets down to make him more placid, allowing McConnachie to take over to tackle the cavities. The decay is so severe, however, that one of the teeth has to be pulled. Sugar-rotted teeth aren’t the only problem in El Salvador. The country also has a high obesity rate. The World Health Organization identifies obesity caused largely by diet (sugars and simple carbohydrates like cornmeal tortillas and bread) as a risk factor for Type 2 diabetes. It is a condition Speroway’s doctors will see often on this mission. The International Diabetes Federation’s (IDF) 2014 statistics put El Salvador’s diabetes rate at 10.6 per cent of the population — higher than the world average, but still lower than Canada and the United States, where diabetes afflicts 11.6 per cent and 11.4 per cent of the population, respectively. To say that education is needed is an understatement. The IDF reports that the El Salvador government hasn’t even begun to discuss “preventative polices.” Yet the need for a strategy is evident in municipalities like San Pablo Tacachico, which is north of San Salvador. That’s where Else Orellana lives. She’s a pretty 17-year-old who lives across the street from a small tienda where Coke is sold for 35 cents. That’s five cents cheaper than the bottled water. Orellana has just bought a 1.25 litre bottle of Coke, which she plans to crack open and enjoy with her noon meal. Her uncle, Milton Cruz, operates a nearby fruit stand. Cruz, 38, was recently diagnosed with diabetes, something the doctor linked to his own litre-a-day Coke habit. Is Orellana on the same path? Doesn’t she realize the health risks of drinking so much pop? She shrugs. Maybe she’s a bit “necio o burro” — stubborn like a donkey — but when it’s a hot day in El Salvador, nothing beats the heat like an ice cold Coke, she says with a shy smile, before turning away to prepare lunch.